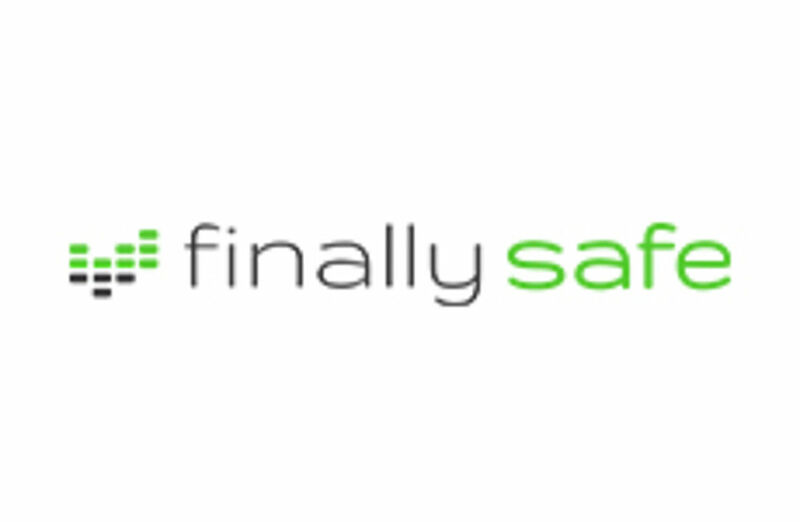 Connect reliable macmon Network Access Control (NAC) with leading security solutionsand profit from real benefits! Our in-house developed NAC solution is not only the answer to ideally protect your network against unauthorized access, but our product also offers a way to seamlessly integrate with other security solutions. We differentiate between integrations with endpoint compliance platforms, whole infrastructures, asset management systems and identity stores, whereas asset management systems and identity stores can be bi-directional inte-grations. Some vendors offer more than just one integration of different types, but to identify which is the right one for you we classified them this way. Below you will find our long-term partnerships with leading technology brands - if your preferred brand is not on the list, talk to us so we can evaluate a potential integration. Take advantage of this opportunity and profit from our sophisticated interface to meet your high standards. Make use of this advantage and get true benefits from our product integrations. Barracuda CloudGen Firewalls include full next-generation security paired with all network optimization and management functionality today known as Secure SD-WAN. The integration with macmon expands the protection on the corporate network at any entry point against unauthorized access, malware, Advanced Persistent Threats and detection of bot-controlled endpoint devices imme-diately at the gateway. While macmon gathers ARP information from all devices on the network and enforces policies at the MAC level, Barracuda CloudGen Firewalls with Advanced Threat Protection and Botnet detection sends macmon live updates on identified threats at the client. Subsequently affected endpoint devices can be either automatically disconnected from the network or moved to a quarantine segment. At the same time, macmon reports information on detected endpoints, allowing enforcement of appropriate security policies with Barracuda CloudGen Firewall. Communication policies that apply between two network segments, are not only segment based anymore, but also endpoint group based. Group member lists are continuously being maintained through macmon’s active endpoint discovery, which leads to your communication policies always being up to date. Guest devices are also being separated from the rest of the network by the Barracuda CloudGen Firewall. macmon will allow these guest devices to pass a registration process that lets you granularly define what type of access is granted, for example only access to the web, but not to YouTube or peer-to-peer. With INDART Professional CONTECHNET offers a modular software solution for creating and maintaining a complete IT emergency planning. Your added value: Thanks to the integration of INDART Professional®, relevant data is continously fetched from routers, switches and servers by macmon. The emergency reference list is always kept up-to-date. In case any of the registered systems becomes unreachable, or a new system shows up, appropriate action is requested as defined in the emergency documentation. macmon NAC reads ARP information from Dell network switches and enables macmon NAC to isolate or physically disconnect endpoints that are determined as non-compliant. EgoSecure is a market-leading vendor of data security solutions and protects organisations from data loss, malware and unauthorised devices, e. g. USB drives. Your added value: The connection with EgoSecure enables the transmission of the compliance status of endpoint devices to macmon. Thus enables the disconnection of non-compliant devices from the network or their movement to a quarantine segment as well as transfering them back after their cure. Additionally, EgoSecure informs macmon straight away about any type of breach of compliance, for instance “unauthorised application executed” or “too much data copied to USB drive” and more. ExtraHop is the global leader in real-time wire data analytics. The innovative approach of the ExtraHop Operational Intelligence platform provides the correlated, cross-tier visibility essential for application performance, availability, and security in today's complex and dynamic IT environments. Your added value: By integrating with macmon, endpoints can be isolated from the network instantaneously, when - for example - an unusual activity takes place, like a large number login attempts in a short time period at a server or data­base, which is detected by ExtraHop. The finally safe Advanced Threat Detection Appliance (ATD) analyzes all layer 2 to layer 7 communications, providing essential security information through correlated data. Identifiable attacks typically require immediate action that can be implemented in real-time by macmon NAC. The direct connection of both systems and the corresponding automated response to attacks and anomalies can isolate infected machines before a threat is thoroughly analyzed by security experts. Malware communications or botnet connections from infected devices, just like uncovering hidden communication channels, are only 3 of the most important situations where the integration reduces the response time from “Not visible & not responded” to near zero. F-Secure is one of the leading software providers of Endpoint Security- and, in particular, AntiMalware-Solutions. Your added value: The close collaboration of both developer teams - at macmon and F-Secure - makes sure, that all macmon versions are compatible with F-Secure. It also enables macmon to take specific measures against critical virus events and act on them quickly. macmon NAC reads ARP information from Microsens network switches and enables macmon NAC to isolate or physically disconnect endpoints that are determined as non-compliant. Infoblox is a solution that provides network services such as DNS or DHCP in a simple manner. This combination is ideal, because the solution works universally with the same data that macmon uses for Network Access Control. Your added value: Using the available open interfaces, it is possible to synchronise the databases with each other and to mirror the group memberships. The maintenance of system data such as MAC-addresses or IP-addresses only needs to be done in one place. Both Infoblox and macmon have corresponding automatisms that guarantee an effective and up-to-date overview. Your added value: macmon NAC reads ARP information from LANCOM network switches and enables macmon NAC to isolate or physically disconnect endpoints that are determined as non-compliant. Since 1993, MICROSENS GmbH & Co. KG has been standing for fiber optic solutions. As one of the pioneers of fiber optic transmission systems, the internationally active company covers all performance sectors of fiber optic technology. Starting with solutions for future-safe office networking and high-availability in rough environments, the product portfolio ranges over large-scale site networking and interconnection of computing centres up to high-performance Wide Area Networks (WANs). In all these fields of application, MICROSENS provides and ensures efficient, fast, and secure data transfer. As an internationally successful manufacturer, MICROSENS distributes its products on a worldwide scale. In addition to the company headquarters in Hamm in Westphalia (Germany), MICROSENS also has sales subsidiaries in France and Poland to optimally fulfil the diverse requirements of its customers on-site. Since 2006, MICROSENS has been part of the euromicron company group, which focusses on network and optical fiber technologies applied in the IT industry. Your added value: macmon NAC reads ARP information from Microsens network switches and enables macmon NAC to isolate or physically disconnect endpoints that are determined as non-compliant. MobileIron is the leading Mobile Device Management (MDM) solution that keeps track, manages and monitors all corporate devices and mobile BYOD devices that have access to sensitive information within the organisation. Your added value: The integration of MobileIron allows you to read out all managed mobile devices to make them known in the macmon NAC solution and either grant or deny them access on the network. The unique approach to mapping those devices enables you to link a MobileIron label to a group in macmon. You do not need to do any manual policy enforcement to control access on your network. At the same time, the compliancy status can also be transmitted and in case MobileIron identifies a device as non-compliant, macmon is going to isolate the device. NCP is the German leading vendor of Remote Access VPN Solutions for high-security access on central based data and resources. Especially companies with a great number of professional mobile users or Industry 4.0 driven businesses benefit by getting their administration simplified with NCP’s Secure Enterprise Solution for professional Remote Access Networks. Your added value: macmon is able to display the systems and users connected through the NCP VPN in a comprehensive overview. In case of an endpoint should be disconnected from the internal network because of a specific event (e.g. security breach, compliance offence etc. ), macmon is able to enforce the NCP Gateway to drop the VPN connection actively. If desired, even a common whitelist of approved endpoints can be used – this ensures to only give network access to trusted endpoints by covering WLAN, LAN and VPN. macmon NAC reads ARP information from Nexans network switches and enables macmon NAC to isolate or physically disconnect endpoints that are determined as non-compliant. 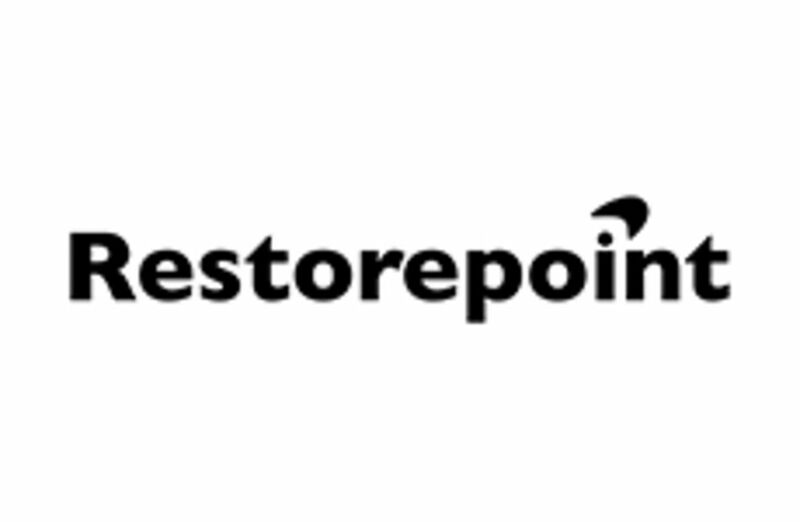 Restorepoint is a solution that you can backup and restore a variety of products with. You can chronologically archive their configuration and make your backups available again later. Your added value: The deep integration of Restorepoint allows you to save the configuration and installation data of your macmon appliance. This process is automated and can be scheduled as well. On top of macmon’s own backup feature, that takes care of your scheduled backups in the background, Restorepoint centralises this approach and is especially useful and quick in unexpected crash scenarios. Tenfold offers a web-based portal that centrally manages users and their permissions. Your added value: It manages the permission to register both employee and guest devices - or to deny their access - to the network. Combined with macmon’s guest/BYOD portal, these permissions are instantly available. When an Active Directory account becomes inactive, the corresponding endpoint device is also being locked out of the network. As a user of macmon NAC you not only benefit from the high level security of the software along with easy handling and operation as well as the use of intelligent technologies, but also from the interface capability to other leading security products. Besides the common AntiVirus solutions, these include Endpoint security, IT emergency management, Intrusion Detection or prevention Systems (IDS/IPS), Asset Management Inventory, Security Incident & Event management (SIEM) and much more. The BlueCat IP Address Management (IPAM) solution offers unified mobile security, address management, automation and self-services. The interface of BlueCat enables the import of DHCP data, DHCP leases in par-ticular. This information is being fed into macmon and complements the endpoint data collection, including DHCP hostnames and IP data. Among other things, this improves the detection of ARP spoofing attacks and hence the protection against them. Matrix42 offers with Empirum a central platform to uni-versally control endpoint software and to manage end-points in general. Combine that with macmon and you get 2 key advantages: in case of a compliance breach that is detected by Empirum, macmon can be informed through the compliance interface and isolates the dan-gerous system. In order to have synchronized status updates of the inventory on both ends, the list of the permitted systems on the network in macmon can be synchronized with the inventory list of Matrix42. As you prefer and as your environment permits, either one or the other platform can take the lead. McAfee is one of the largest vendors of security solu-tions worldwide and offers with its ePolicy Orchestrator (ePO) a platform that lets you centrally manage vari-ous security solutions at once. When integrating with macmon Compli ance, you can be alerted of nearly any event that may occur in McAfee. That way the endpoints that are deemed “non-compliant” will be moved to the appropriate network segment. Flexible policy enforce-ment allows you to react to each event individually. As a user of macmon NAC you do not only benefit from the high level of security the software establishes along with easy interaction and operation, as well as the deployment of intelligent technologies, but also from the interface’s capability to connect with other leading security solutions. Apart from the well-known Antivirus solutions, they also include Endpoint security, IT Emergency Management, Intrusion Detection or Prevention Systems (IDS/IPS), Asset Management Inventory, Security Incident & Event Man-agement (SIEM) and many more. The bidirectional connection with asset management solutions, such as CMDBs, inventory, client management and other systems makes both the endpoint and network device information synchronize automatically. Depending on the given workflow either this third party solution or macmon NAC can be in the active role of communication, whereat macmon NAC is most likely to learn new endpoints first and then shares its knowledge. If an existing solution found an endpoint on the network and determines a non-compliant state, that either stems from malware or originated on a botnet, it would pass this information on to macmon NAC. This message about the incident is going to contain the identity, the reason and the new compliance status. Other systems can also be updated on this new compliance status at the same time. Already existing identity stores on the network, such as mobile device management solutions, AD or LDAP services, SAML, RADIUS servers or other systems, could be used by macmon NAC to perform qualified authentications of endpoints. Uniquely authenticated identities and their respective current status can be passed on to third party solutions, such as firewalls and others. macmon NAC learns about what devices are on the network by reading or receiving data of the network infrastructure . The development branch’s knowledge transfer with infrastructure manufacturers makes sure that this data is provided reliably and correctly for macmon NAC. macmon NAC liest ARP-Informationen aus Netzwerkswitches aus und ermöglicht damit, dass Endgeräte, deren Zustand den Unternehmensrichtlinien widersprechen, isoliert oder physikalisch vom Netzwerk getrennt werden können.